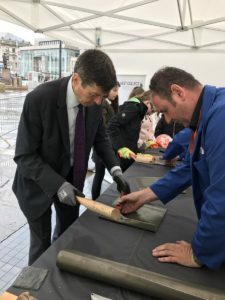 I had a very enjoyable visit to the Scottish Traditional Building Forum’s skills demonstration in Paisley earlier this week. 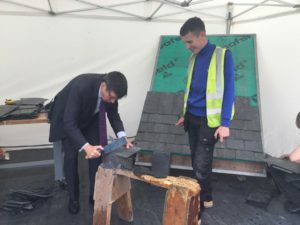 The demonstration was a terrific exhibition of traditional construction skills, with a focus on inspiring the next generation and raising awareness of career opportunities which are available in this field. 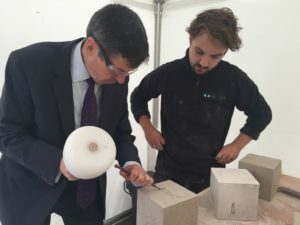 It was fascinating to see such craftsmanship first hand and even more revealing to see how much satisfaction and pride everyone took in their work. Speaking to the both the old hands and the new recruits, it is clear that learning these traditional skills is a route to secure employment. Scotland is full of old and historic buildings, some on a grand scale some simply roofs over our head, but all of which need to be maintained. 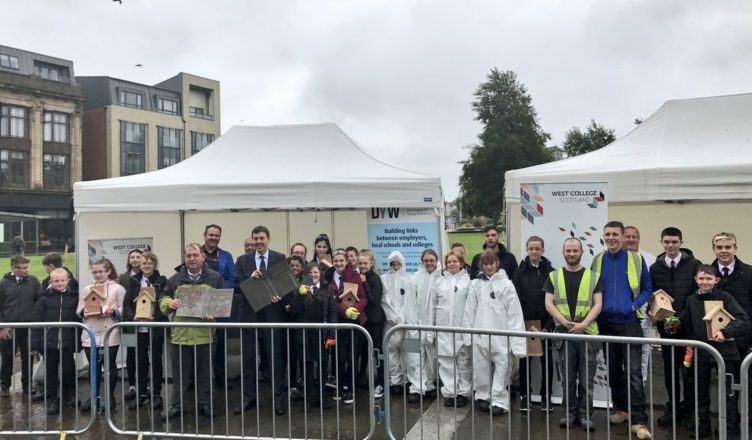 I think those of us fortunate enough to have visited this display, including the pupils from local schools who have yet to choose their own career or vocational path, will have been incredibly impressed by what we saw. 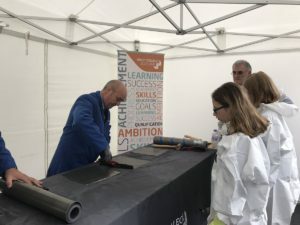 A huge thank you to all the instructors and apprentices for taking the time to share with us their expertise and experience. You can find out more about the Scottish Traditional Building Forum here. The costs of this website have been met through Parliamentary resources. Complaints or concerns about content on this site should be directed to the Scottish Parliamentary Corporate Body. Copyright Rt Hon Ken Macintosh MSP. All rights reserved.